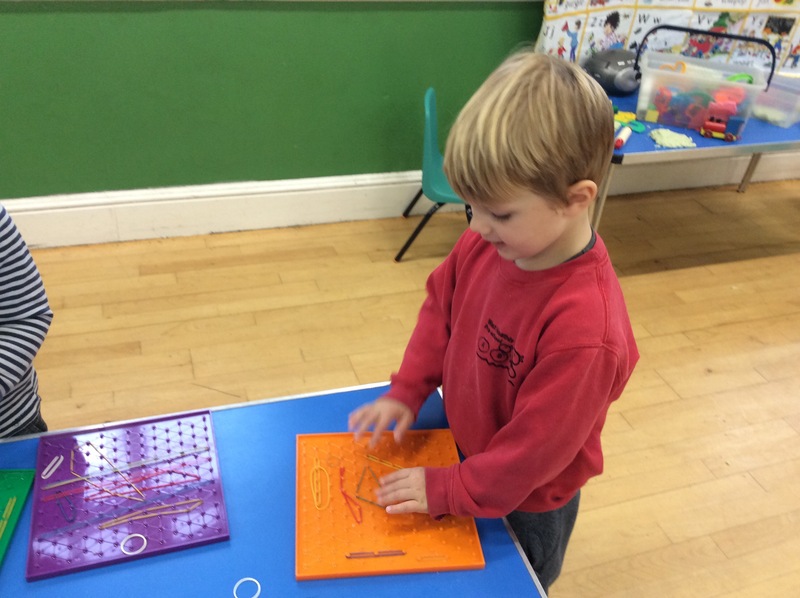 Today the children investigated the new Geoboards. 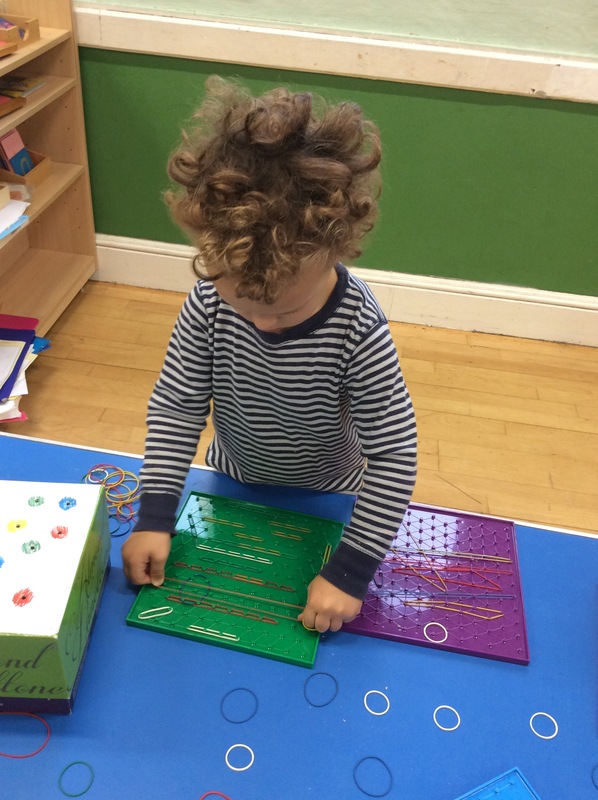 These boards are great for the children’s coordination, hand strength, fine motor coordination and shape recognition. 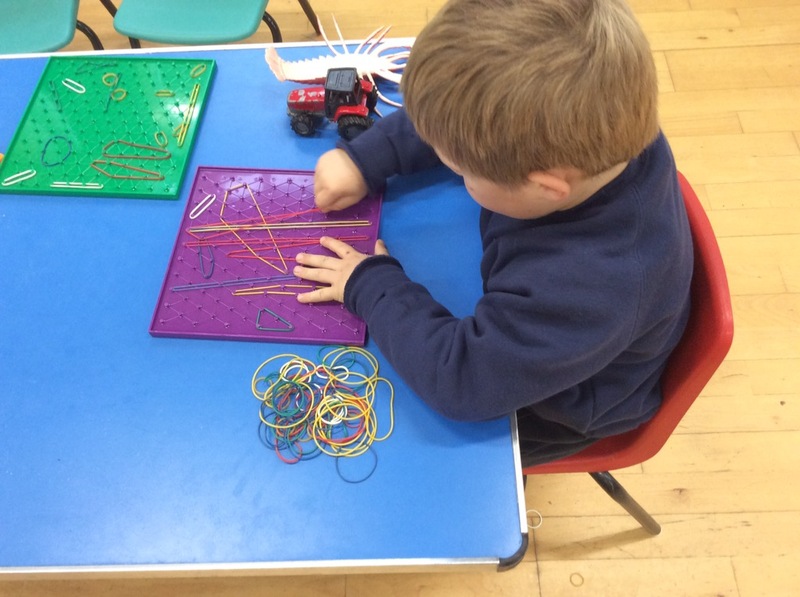 They enjoyed making different patterns and shapes and the occasional ping across the hall! We also had the wooden train set, puzzles and the cars out and the children used them throughout the morning. The children again set up a plane using chairs and we continued this play with a tray of glasses being offered and tickets for their ‘IssyJet Airways’ flight. We flew to Africa and saw some of the wild animals including elephants and lions. 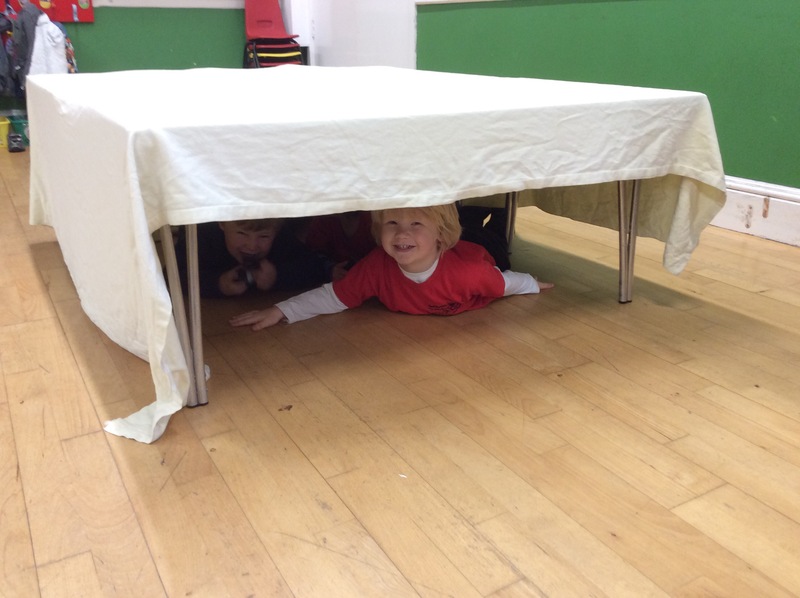 But as one child pointed out “we have to be quiet or we will scare them”. Not only did we fly to Africa this morning we also had time for Liz to do singing with us and also build a camp under the tables.